When we think of Roman armor, we immediately think lorica segmentata. But, the lorica hamata, their version of the chainmail, came before the segmentata and outlived the more celebrated armor. 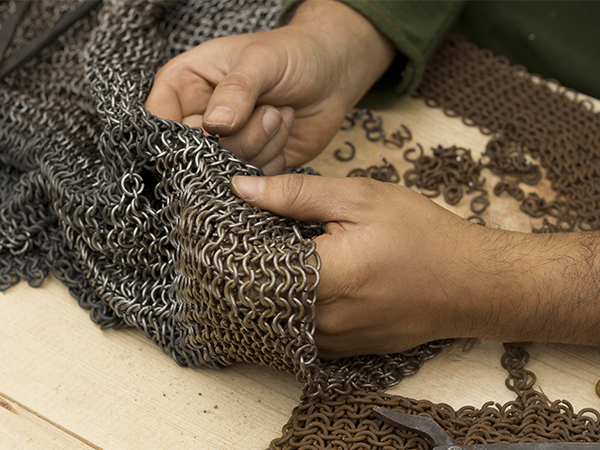 However, the chain mail was not a Roman invention. Archeological findings have confirmed that this form of protection was already in use in 4th century BC. The Celts are credited for the invention. Brass and iron were used to make the armor but the most popular material was steel. The chain mail possibly reached its peak during the Middle Ages and slowly faded into obscurity with the evolution of plate armor and the advent of firearms in the 16th century. The most common method involved the linking of metal rings, the ends of which were butted together and riveted. A full mail would have over 1.5 miles of wire in it. So, making one would have been time-consuming and arduous, requiring a lot of patience and skill. Today, using traditional methods, it might take one person a full year to fashion a coat of armor. Historically, many people would have been involved in the process, each for their specific skill set. The prevalent pattern used in medieval Europe was the 4-in-1 weaving pattern, where the central jump ring held four other rings. These rings were butted and then reinforced further through rivets. 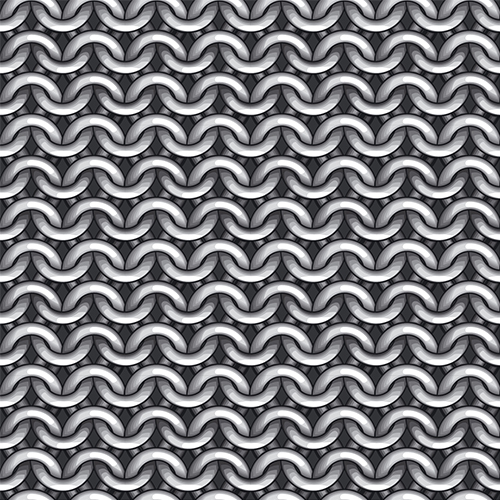 The Japanese used the 6-in-1 weaving pattern but their chain mail was mostly only for protecting certain areas such as the armpits and elbows, which ensured mobility was not compromised. The ones you see these days are mails that have been butted but not riveted and made from thicker material. 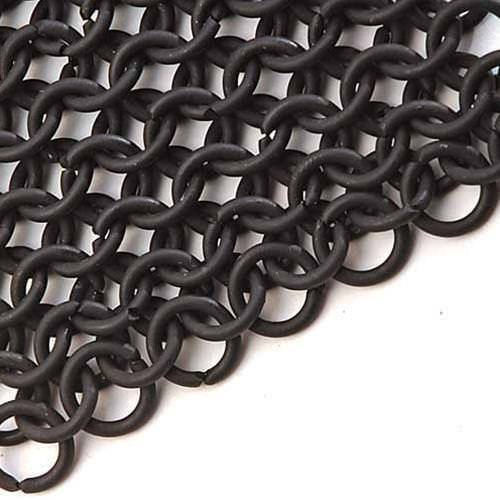 Riveted chain mail was historically made from thinner material but was several times stronger and distinctly lighter. YouTube has several videos of swords cutting effortlessly through chain mail. How likely was that scenario in the medieval battlefield? Not so much. Most of these “experiments” are conducted on butted mail under favorable conditions. Proper riveted mail is a completely different proposition altogether. There is a reason why different armies around the world used them so prevalently and for such a long time. Perhaps they were less effective against maces and heavier weapons capable of inflicting blunt force trauma, but a good riveted chain mail almost always protected the soldier against sword cuts and gashes.